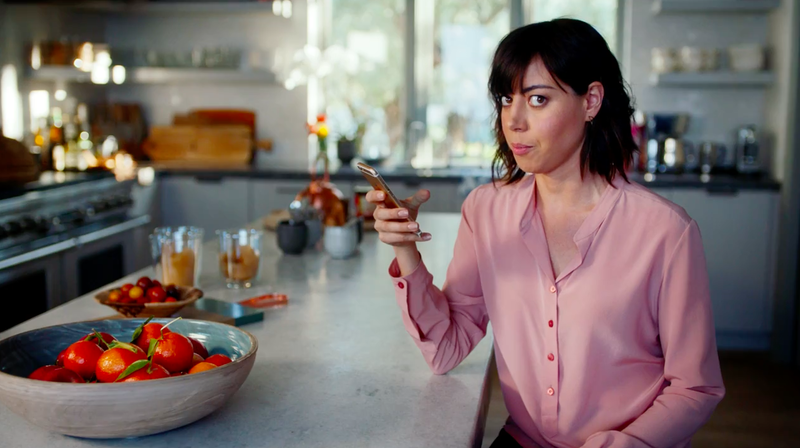 Apple released a couple of new iPhone 6 commercials on Wednesday, and mostly they're feature focused, though Aubrey Plaza does have a cameo in "Less Time"—a spot about the 3D Touch feature that saves you time by letting you "peek" and "pop" content in other apps without leaving the app you're in. 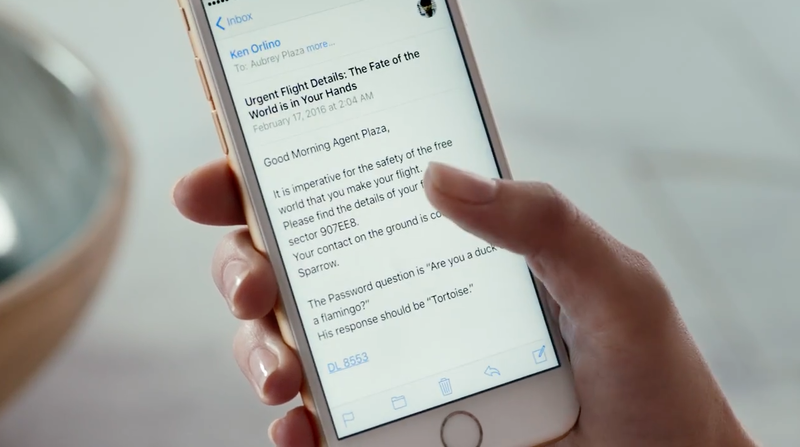 The Parks and Recreation actress is amusing as usual, and the spot has a little fun with her flight itinerary, which is the content she's concerned about within the conceit of the ad. The screen shots of her itinerary flickers by much too fast to see on TV, but that's why we have online screen captures. Check out the second spot below, which shows off the "Live Photos" feature.